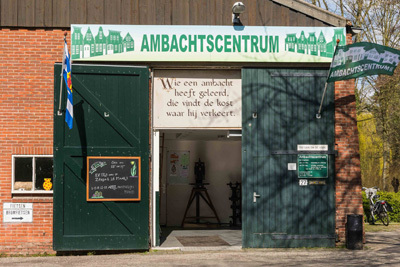 The Ambachtscentrum (crafts center) is an excellent all-weather attraction for young and old. It is situated in the park "De Hollandse Hoeve". A short walk to the north-east from the center of Goes. An old market square has been replicated, surrounded with picturesque houses in old Dutch style. The houses are used by crafts people who demonstrate their crafts and offer their products for sale. Several workshops offer crafts-related activities for childeren. Openings hours: The whole year January till Decembre Wednesday and Saturday. In the childeren-vacations and July and August:Tuesday, Wednesday, thursday and Saturday: 13.00 till 16.30 hours. Free entry, wheelchair accessible. Payments only possible in cash. Dogs are not allowed.